For over a decade we have run one of the most successful salons in South West Orlando, with an outstanding Team and great working environment for accomplished salon professionals. 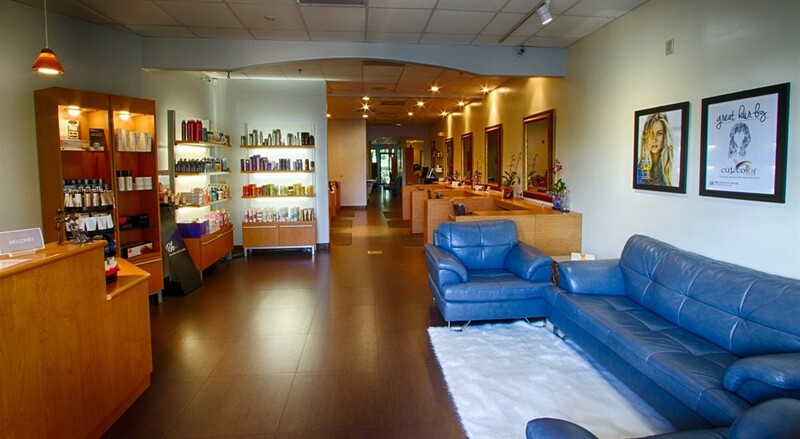 We are always seeking talented and enthusiastic individuals to join our expanding salon family. This position is more then booking appointments and selling retail, it is more concierge meets efficient office manager, all performed with grace. If you have the skill sets to keep a busy pace, support a busy team of stylists and make every client feel welcomed... send your resume today! This program is rapidly becoming an industry blueprint for the start to a rewarding career. Train on the job after graduation from cosmetology school to build styling and coloring skills and learn to work with clients in a salon setting under the guidance of experienced professionals. Career paths are clearly explained and most of our senior stylist positions are filled from within, as salon interns graduate and are promoted. Serving clients takes more than simply cutting and coloring hair daily. It takes integrity and team work to truly service and build a long term clientele. This is what we build here at The Cut & Color Room- relationships between the salon, client and stylist that last a lifetime. Our team is truly dedicated to raising the levels of professionalism in our industry while going above and beyond for our guests. If you have the same dedication to the client experience, and are seeking long term employment, email us you resume today.